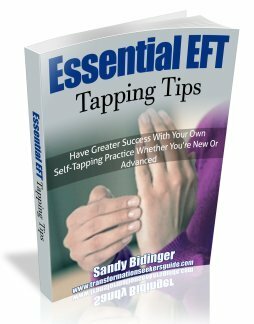 Welcome to my EFT Tapping Resources and Products page. I guarantee you that after viewing this material, you will be inspired and will want to know more. I think you'll really see how the emotional freedom techniques could be a key tool for your transformation. EFT has made a huge difference in my life from the very first day I learned about it. I feel more in control and am able to use this as a simple tool right in the moment to shift my vibration and release blocks. I literally use EFT every day in situations to calm stress, anxiety, and fears. But the truth is...EFT doesn't only have to be used to "fix things". It's also great when used to raise your vibration and express gratitude. I hope you spend some time with these EFT resources learning and discovering the power of EFT and that it makes a difference in your life as well. I don't know of a better, easier, or faster way to get you or someone you love on the right path to personal development growth. I've taken notes from all of my hours of EFT tapping research online as well as throughout my personal experience both participating on teleconferences, and working one on one with EFT practitioners. And most recently, I've been fortunate enough to have entered the EFT Tapping world working along side these EFT Tapping masters through my online business and it's been some of the most rewarding work I've ever done. It is such a pleasure to be a part of this healing community. While I was involved with the EFT community, I created a free 15 page report compiling the most important tips, techniques and resources from years of personal interaction with dozens of the very same EFT Masters that I mention throughout the pdf. I know this will give you greater results with your EFT tapping. My Top 7 "Tips Before You Tap"
Send me my Free Essential Tapping Tips ebook Now! You will also be added to the monthly newsletter list and you can unsubscribe anytime. We value your email privacy and will never send SPAM or share your information. 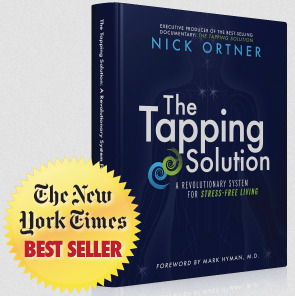 The Tapping Solution for Financial Success & Personal Fulfillment - Join the FREE WEBINAR hosted by Nick Ortner called: How to use EFT Tapping to create an abundant, stress-free, financial future faster than you ever thought possible. 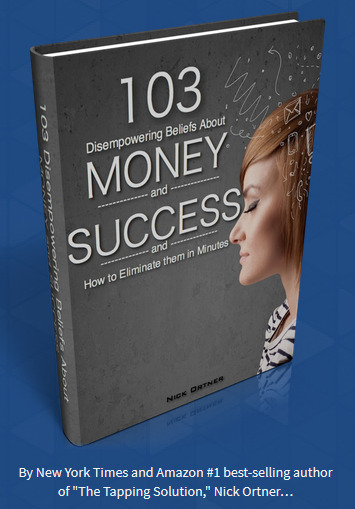 The Energy of Money- 3 hours of tapping sequences on downloadable MP3s from EFT Master Carol Look who will help you identify your money fears and worries, and lead you through tapping exercises to release scarcity. 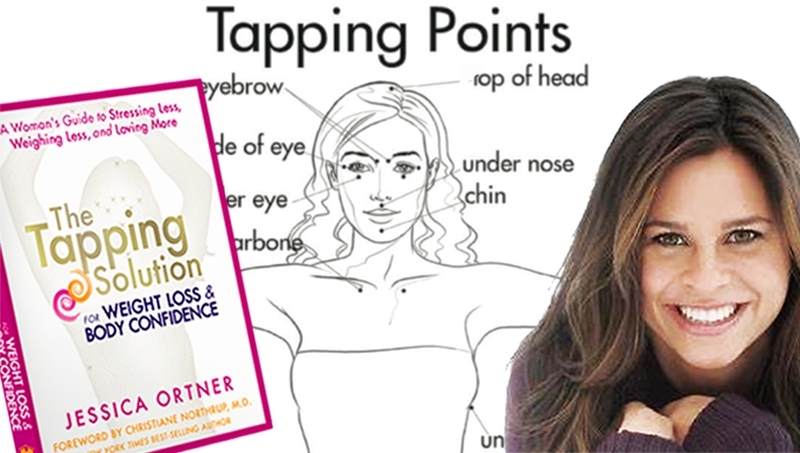 The Tapping Solution for Weight Loss & Body Confidence - Join the FREE WEBINAR hosted by Jessica Ortner called: The Biological Weight Loss Trap: Why most people struggle to lose weight and how you can use EFT Tapping today to finally lose weight faster than you ever thought possible! Clear Cravings With EFT - In this mp3 audio, Carol Look helps you stop those cravings and reduce emotional overeating by using EFT for the underlying emotions that make you want to overeat. Afraid To Lose Weight - In this mp3 audio, Leslie Vellios and Carol Look discuss the issue of safety and weight loss and use Tapping exercises to release the energetic and emotional reasons you don’t feel safe so you can lose the weight once and for all. How To Lose Weight - In this mp3 audio, Carol Look uncovers and addresses many of the emotional drivers behind addictive food cravings, destructive body images, low self-esteem and future relapses. As she demonstrates and applies EFT in each case. Release the Stress, Lose The Weight - Coach Marti Murphy and author, speaker and EFT Master, Carol Look address how stress blocks successful weight loss, and deliver several sequences of Tapping (EFT) to release your fear, stress, and emotional blocks that are causing your body to hold on to the extra weight. The TappingCourse.com - Tap along with Magnus Huckvale with this free video course right from your computer. Written scripts included on the screen for you to follow along.